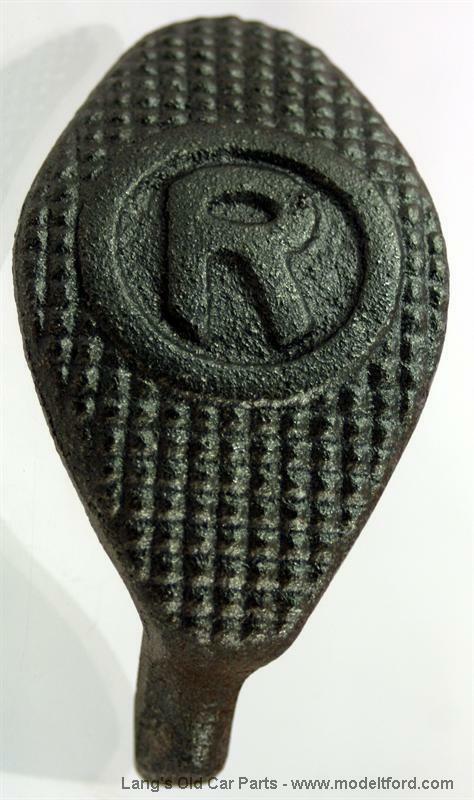 Pedal head, lettered "R", same style pedal head as used on brass era cars, cast ductile iron. Use to replace the old worn pedals. Just cut off the old ones and weld these in place.